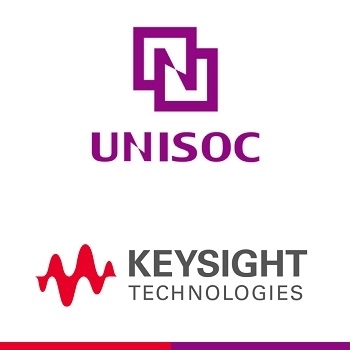 Keysight has extended its partnership with UNISOC Inc to participate in the CMCC 5G large-scale trials. Keysight is helping UNISOC accelerate 5G New Radio (NR) chipset development with substantial support from GTI. Both UNISOC and Keysight achieved 5G NR PHY layer interoperation based on the latest 3GPP Release 15 5G NR standards in the CMCC 5G Innovation Center Lab, and demonstrated this achievement at the 22nd GTI workshop. The event, organized by the GTI, brought together mobile operators, vendors, and companies from vertical industries to address and discuss key issues and the latest progress in 4G and 5G technology development. GTI was founded in 2011 to promote the global development of TD-LTE, encourage convergence with FDD, and foster a cross-industry innovative and a synergistic 5G ecosystem. With Keysight’s industry-first 5G solutions, UNISOC is able to speed up its 5G NR chipset development, pre-silicon deployment, and full stack chipset validation across sub-6 GHz frequencies. Keysight’s suite of 5G network emulation solutions is the only seamless radio frequency (RF) and protocol workflow approach that enables chipset and device makers to efficiently develop and test evolving 5G standards and latest 4G standards in a single solution. These solutions accelerate the delivery of new 5G NR products by leveraging common development tools to eliminate siloed data sets and share design insights gained across each stage of the device lifecycle. As a core subsidiary of Tsinghua Unigroup, UNISOC is a leading fabless semiconductor company committed to the independent R&D of core chipsets in mobile communications and IoT. Its products cover mobile chipset platforms supporting 2G / 3G / 4G / 5G communication standards, IoT chipsets, RF chipsets, wireless connection chipsets, security chipsets, and TV chipsets. With more than 4,500 staff, 14 R&D centers and 7 customer support centers around the world (as of Jan 2018), UNISOC is dedicated to being one of the leading chip design companies in the world, the top 3 mobile baseband chipsets supplier in terms of global market share, and the largest pan-chip supplier in China with leading 5G technology.